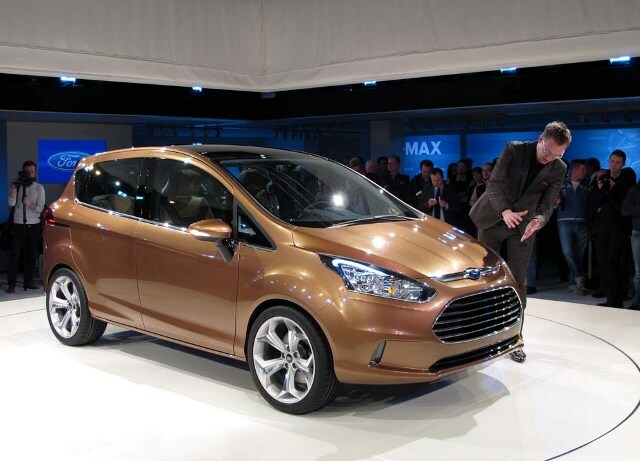 Ford, the American car maker has launched the Ford B Max crossover. This car will be available in the showrooms in UK this September and will be offering a blend of performance and engineering to those who seek the performance and efficiency of a small car and the space and maneuverability of an SUV. In India, the car maker is expected to bring it as an MPV and it will be competing with Maruti Ertiga, Mahindra Xylo and others in the segment. It is expected to be priced around Rs 9 lakh and this year end launch is what the American car maker should be thinking. Booking for B Max are on and the delivery of the car is expected to begin next month. The relevance of the B Max MPV for India has grown leaps and bounds in the light of the exceptionally exceptional sales of Ertiga. Once in the MPV arena the B Max will also be competing with the Mahindra Xylo and others. Its price tag of Rs 9 lakh is what is expected to take it further besides being a car from a brand that has given some of the most popular cars in India including Ford Figo and Ford Endeavour SUV. Meanwhile, the car that is most anticipated from this car makers stable is the Ford EcoSport SUV that will be launched near Diwali this year. The Ecosport will be entering the newly revived segment compact SUV that has been set afire by Renault Duster that was launched recently. Meanwhile, the B Max crossover that is expected to be launched in UK this September will be a car that will offer lots of space insides despite of the compact dimensions. In addition to this, the brand will be pushing the sales as it is one of the best brands in America and is also popular in other regions such as Europe and Asia. Like the Ecosport, the petrol powered B Max will also be sporting the 1L EcoBoost engine. There will also be two diesel engine options. When Ford B Max would launched in India. Ford B Max having very impressive price. Ford B Max looks attractive..